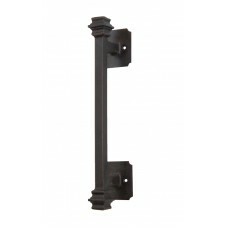 Ornamental iron doors are all about beauty, design, and craftsmanship and the Tacoma handle meets t..
Our Capitol door handle is the perfect way to complete your new iron door selection. 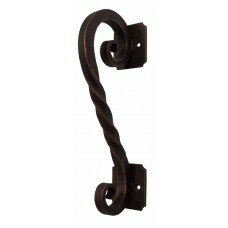 Hand forg.. 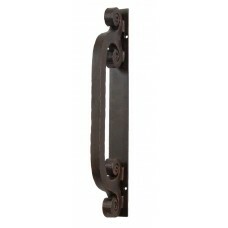 Simple and straightforward, our York iron handle is made using the same hand forged techniques used.. 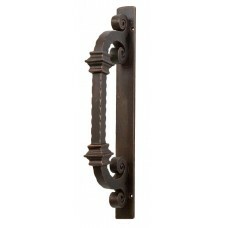 The Jackson handle was designed with a ball on the top and bottom ends of the handle with a twisted..
A well-made iron door handle is the best way to complete your door selection and nothing says state..
You will feel like you have come home to your own Bellevue-Stratford hotel when you grab this solid ..
Our Rochester iron handle has just the right flourish and panache to complete your iron door select.. 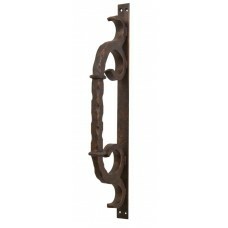 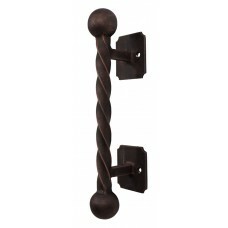 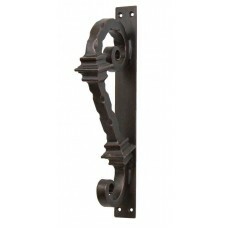 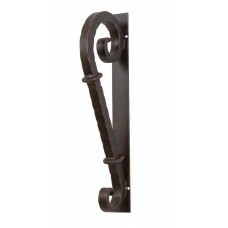 Handmade, hammered, and hot forged, our iron door handles use the best in old world craftsmanship an..